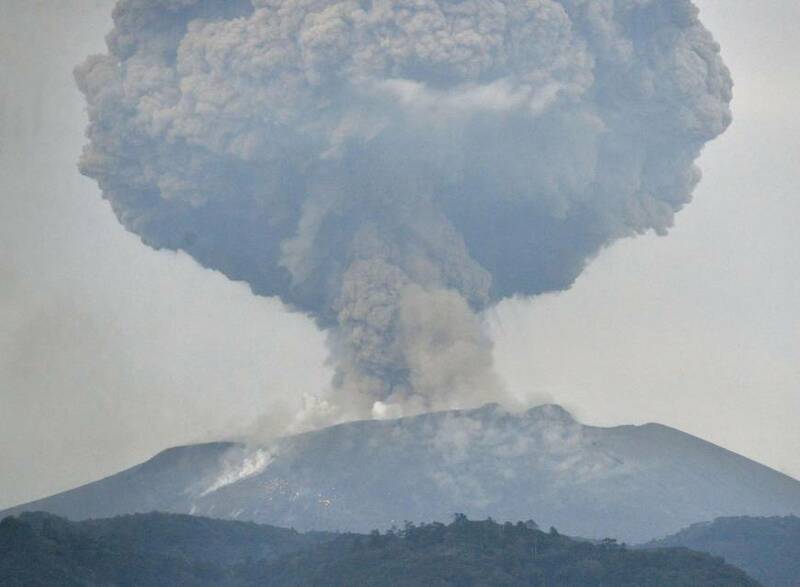 Southwestern Japan’s Mount Shinmoe is expected to continue explosive eruptions for several months or more, the Meteorological Agency’s eruption prediction committee said Tuesday. 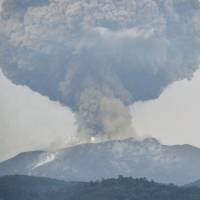 As violent eruptions of the 1,421-meter-high volcano straddling Kagoshima and Miyazaki prefectures have been observed for a week, the agency has maintained an alert level that restricts people from approaching the volcano. It also warned of the risk of large flying rocks in an area within 4 km of the crater and pyroclastic flows within 2 km of the crater. According to the Coordinating Committee for Prediction of Volcanic Eruptions, people in the area still need to be on alert for flying rocks and other dangers for the time being. It also said the possibility of pyroclastic flows reaching the foot of the mountain and residential areas is low. While the Kirishima mountain range encompassing Mount Shinmoe had appeared to be swelling since last July with the possibility of the magma chambers refilling underneath, there were movements of contraction from March 6 to 8 as it released lava. The amount of lava pooled in the crater appears to have been unchanged since around Saturday. “At least about 60 to 70 percent of the magma deposit underneath is believed to have been released,” said Kazuhiro Ishihara, professor emeritus at Kyoto University and head of the prediction committee, adding it is necessary to keep monitoring the volcano.